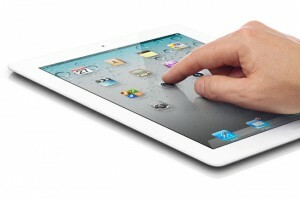 Seth’s Blog on Finance – Is That Really A Free iPad? There’s an IT convention happening and I think I should earn some good karma with this public service announcement: Avoid purchasing financial products and/or insurance policies at the ongoing IT convention. In fact, I believe it’s good sense to avoid purchasing financial products from roadshows in general. Roadshow agents, particularly those at IT conventions, typically attract passer-bys with free gifts, often expensive ones, for some kind of savings policy. It may seem like an attractive proposition – saving money, getting insured, and receiving a swanky new gadget to play with, but explore a bit deeper and you’ll find that the old adage of there being no free lunches holds true. In fact, it may turn out to be a grossly overpriced “lunch” for the unsuspecting. One, the “free” gifts cost money. With the cost of such free gifts, usually an iPad or a laptop, you can be sure that you, the policy buyer, are paying for it, and then even more to give profits to the agent. You’ll be surprised by how much you can end up costing yourself. The brand new iPad 2 or MacBook Air may well be your most overpriced purchase yet. Two, the agents actually pay a fee for rental and operation costs of such roadshows. Coupled with the costs of “free” gifts, what kind of products do you think an agent must sell to cover all his/her costs, and to reap a profit for his/her time and effort? And boy do they put in a lot of time and effort – trust me, they want to be compensated for that. Good friends should warn theirs. “Like” this story and let them know via Facebook. If you have been enticed recently, do share your story. There is still a free-look period available to rectify an impulsive policy purchase.